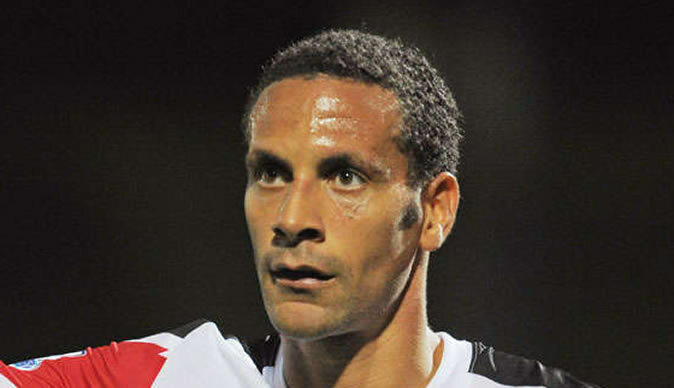 Manchester United's veteran defender Rio Ferdinand expressed his admiration for Zimbabwean international and Ajax Cape Town talisman Khama Billiat. Ferdinand's United side were held 1-1 by the Urban Warriors in an enthralling clash at the Cape Town Stadium on Saturday. "If they are really youngsters, they have quite a few of really good players. Their two centre halves (Nazeer Allie and Matthew Booth) but their number 11 (Billiat) is their most exciting player for me, Ferdinand told Football411.com after the match. "He is good when in position, good ball control and a can use his speed really well, overall an exciting player." Ferdinand also went on to sing high praises of the Cape Town Stadium, labeling it as a world class facility. "Obviously this game was the better of the two games. It was more intense and more tactical, but most importantly it was played in a world class stadium in front of an amazing atmosphere. "The last time I was here, it was during the world cup and I didn't get the feel of the fields because of injury. They are both great stadiums but this one is the better," he concluded. United continue their preseason tour in Asia where they take on Chinese side Shanghai Shenhua.